This is the exact jar I use at home, in my book, and on my blog. I prefer wide mouth glass jars for easy mixing, and the handy latch-top lid will keep the bugs away. BPA free. Made in Italy. 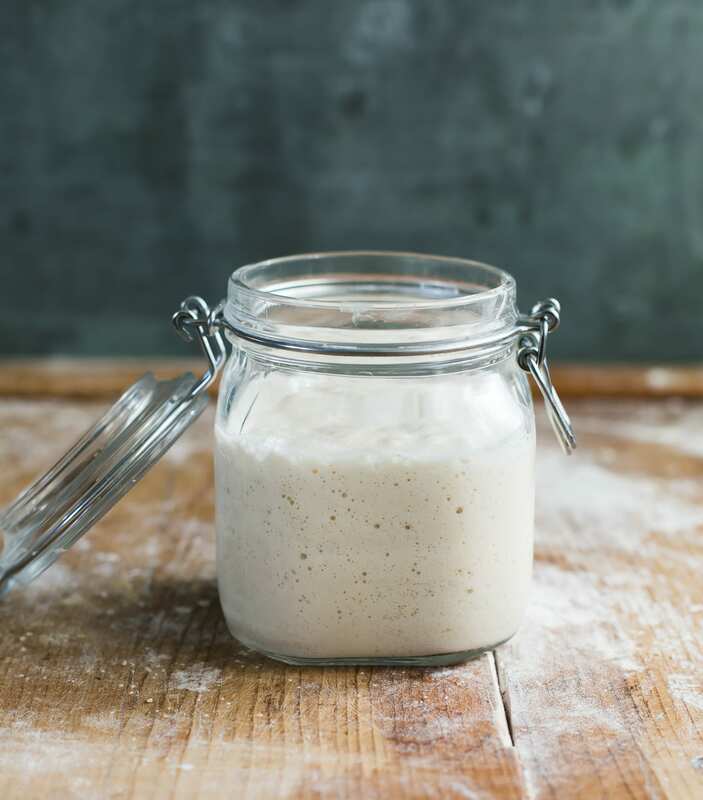 Excellent choice for your sourdough starter.